Whether for open-air catering, club party or the private garden party, we may help you. Especially, new party tent for 200 people liri is is your first option. With its beautiful appearance, high degree of individuality and carefully thought-out execution, it is the best hall choice. 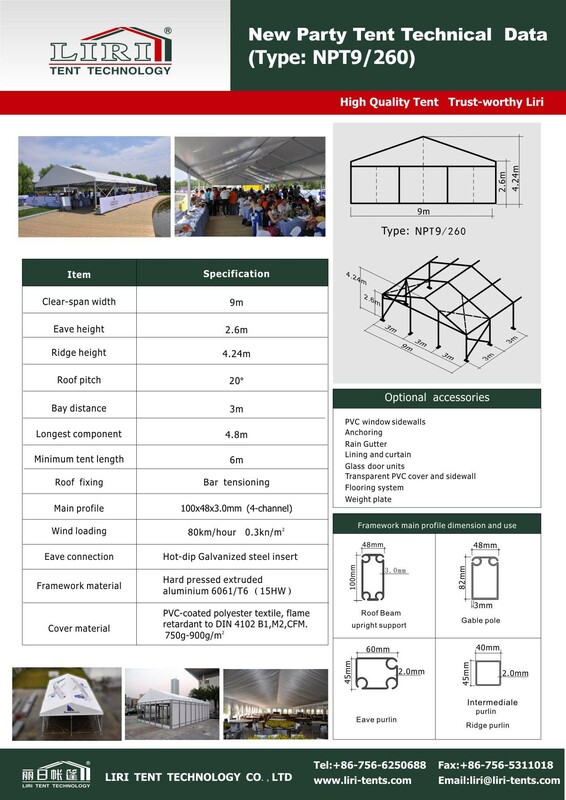 The party tent consists of a flexible construction with high-quality aluminium profiles. Thus it offers a wide range of variation. For example, you can use the new party tent as an autonomous party tent or as a side attachment for a large marquee. The construction that has been carefully thought-out to the smallest details guarantees that you can quickly erect the marquee without complication. Each of these details demonstrates: That customer benefits always take priority at LIRI.